Natural stone has long been admired for the beauty and elegance it adds to any space. Granite and marble tile has endured as a stylish flooring choice and, when properly cared for, can last for years to come. For centuries, natural stone has been a classic choice for a refined look in flooring, yet it offers timeless beauty that is not easy to replicate with man-made materials. The choices of granite, marble, travertine, slate, limestone, and quartzite can offer a vast selection to fit your design intent. Natural stone is a uniquely durable material choice due to its ability to be refinished. Traffic patterns can be erased with a professional polishing program. Although, natural stone offers a unique look and style, a maintenance program will be required to preserve the natural beauty. 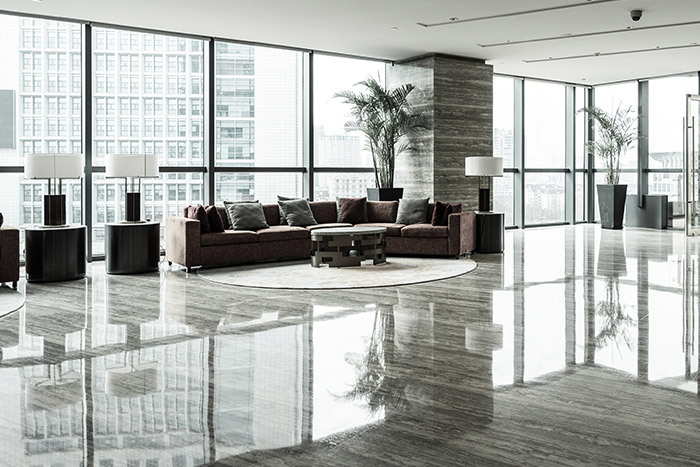 Discover the beauty that granite or marble can bring to your commercial facility. Reach out to Intex Flooring today.